U.Penn’s Cinema Studies department presents a 16mm screening of Michael Snow’s La Region Centrale (1971) tonight at the International House at 7:00 PM. 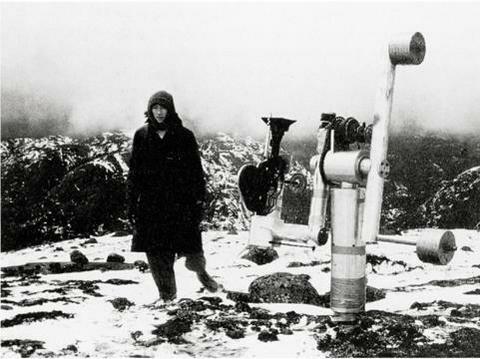 “La Région Centrale” was made during five days of shooting on a deserted mountain top in North Quebec. During the shooting, the vertical and horizontal alignment as well as the tracking speed were all determined by the camera’s settings. Anchored to a tripod, the camera turned a complete 360 degrees, craned itself skyward, and circled in all directions. Because of the unconventional camera movement, the result was more than merely a film that documented the film location’s landscape. Surpassing that, this became a film expressing as its themes the cosmic relationships of space and time. Cataloged here were the raw images of a mountain existence, plunged (at that time) in its distance from civilization, embedded in cosmic cycles of light and darkness, warmth and cold.